Room 4 Rome Risorgimento v Řím, Itálie: Zarezervujte nyní! 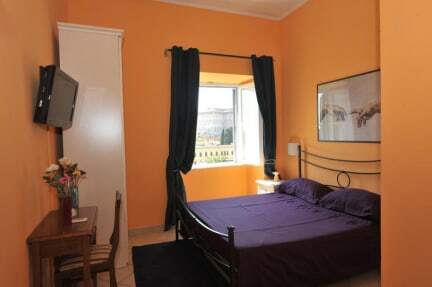 Room 4 Rome Risorgimento is situated on the 6th floor of an elegant Mansion of the area Prati: a bright apartment completely renovated and ideal for a close connection with the historical centre of a city that has so much to offer: Rome. Our guesthouse offers 4 tastefully furnished rooms to all guests: 2 double rooms, 1 triple room and 1 quadruple room. 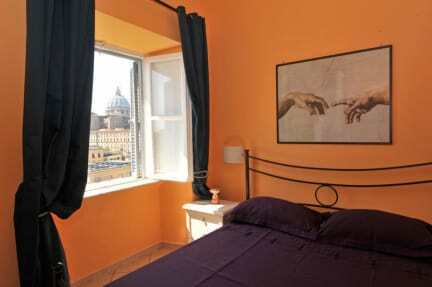 Just a 5-minute walk from the Vatican City, Room 4 Rome Risorgimento offers rooms with free Wi-Fi access and LCD-TVs, air-conditioning, some with views over to St. Peter’s Basilica. Ottaviano Metro Station is 300 metres away. On request we can organise shuttle transfers from and to Rome Fiumicino or Ciampino Airports, and there is also a taxi rank right outside. Payment upon arrival by cash, debit and credit cards. Check in from 12.00 to 21.00. Please call the reception at least 1 hour before the arrival time.